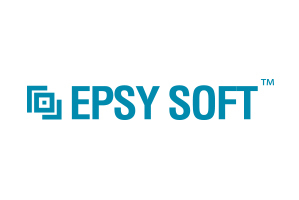 The history of Epsy Soft began in 2013 with a decision made by several professionals from different areas of the IT market to create software and IT products with an entirely new level of security. Development of relevant and highly demanded in the world IT products with innovative mechanisms of protection of user data has become Epsy Soft’s major task – the one that is now being successfully fulfilled. The company has over 100 employees – each of them is not only an experienced professional, but also an enthusiast aspiring to implement the main principle of the company about free, yet safe, communication in the Internet. Despite the factual location of the office in Ukraine, the company’s ambitions go far beyond the borders of the country. The company’s leadership has a clear vision of how Epsy Soft will earn its well-deserved spot on the global IT market. The software that is being developed by the company is supported on most gadgets and on the vast majority of operating systems. The vector of application of efforts, skills and talents of the company’s team was chosen correctly: literally from the first days of the company’s operations the developments of Epsy Soft generated great investor interest. Among the main advantages of the company that help it stand out from its competitors are continuous optimization of each element of work, keeping track and introduction of unique solutions in the labor process and scientific approach to project management. Flexibility and readiness to change and improve determine the company’s success in the Ukrainian and international markets. The Association of IT Business of Ukraine. Certificate of State Registration of the organization No 1417148. March 25, 2014 by the Ministry of Justice of Ukraine in Kiev. The record of the NGO into the Unified Public Register of Legal Entities made in April 3-d, 2014. Terms and conditions to use the site. Information from the website www.oba.ua, including textual and graphical components, is considered the ownership of the NGO Association of Internet Entrepreneurs or third parties. The materials of the source can not be displayed in full or in part, in any form, except for personal non-commercial use or self-education. The use of information of the website, apart from the purposes mentioned above, is to be provided only upon receipt of a written consent from the NGO “Association of Internet Entrepreneurs”, or third parties’ ownership of materials. If web-content is used for the purposes mentioned above (whether self-education or personal non-commercial use) the source reference is required. If the content is to be used in print version, be sure to add links: "Taken from the Association of Internet Entrepreneurs World Wide". When using data form the website on other web-resources there shall be hyperlink to the home page of www.oba.ua. Active hyperlink (or textual link) shall be provided in the end of material at use. Text size of other than textual link or active hyperlink should be smaller than text size of the material in use. If the web-site materials of “Association of Internet Entrepreneurs” broadcast on TV or radio, the allusion to the non-governmental organization is obligatory. Copyright infringement incurs criminal responsibility as prescribed by the law of Ukraine.